Once a heath hen reservation, today the state forest is dappled with sunlight, its understory thick with low-bush blueberries. Conservation on the Vineyard has a rich history, but one of the earliest modern conservation efforts was the ultimately futile effort to save the heath hen, the bird that came to only exist on the Island and slowly declined until the last heath hen died on the Island around 1932. Now the heath hen is at the center of a new effort and a new debate on the Island, as scientific advances have made de-extinction a possibility. The heath hen is on a short list of animals being considered for de-extinction by a nonprofit organization. The conservation community is divided when it comes to the idea of bringing back the heath hen, and scientists and conservation leaders said this week that the idea raises a host of ethical, ecological, logistical and even existential questions. Some say the de-extinction of the heath hen is in line with and would further conservation goals, while others say a revived heath hen population may not be viable and the project could draw energy and financing away from saving endangered species alive today. 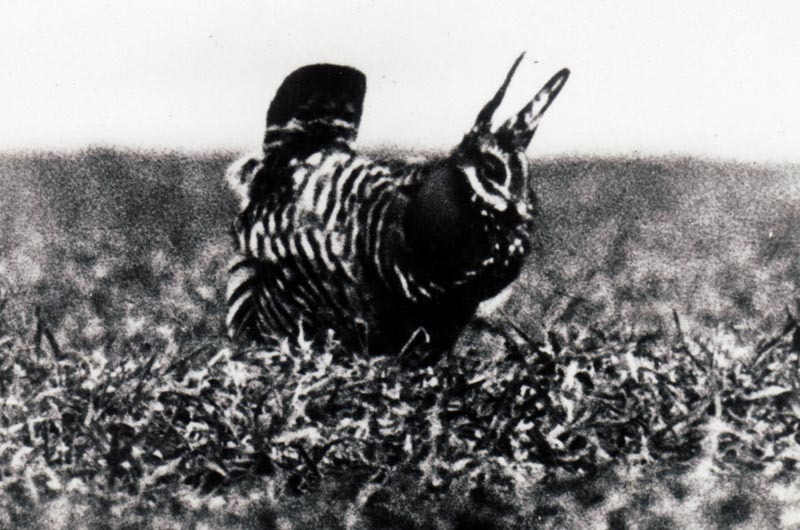 The heath hen, Tympanuchus Cupido Cupido, is a subspecies of prairie chicken and was once abundant along the East Coast. The bird was heavily hunted, and by the mid 1800s it only existed on Martha’s Vineyard. Booming Ben, last of his kind. On the Vineyard, scientists and residents observed the heath hen’s slow decline into extinction. 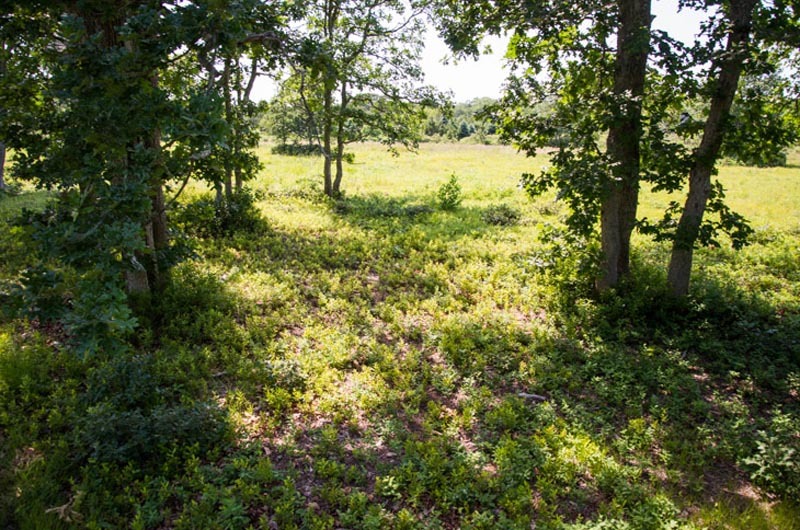 There were efforts along the way to protect the species, including setting aside a swath of land as a heath hen preserve at what would become the Manuel F. Correllus State Forest. The state denied permits to bring in a prairie chicken for the last heath hen to mate with. That bird, a male nicknamed Booming Ben, was last seen on the Island in 1932. The idea of bringing back the heath hen and other extinct species is being proposed by Revive & Restore, a nonprofit project within The Long Now Foundation. Revive & Restore is actively looking at reviving several species — beyond the heath hen, the passenger pigeon, woolly mammoth, and black-footed ferret are on the list. The idea rests on genomic advances that could allow scientists to take DNA from museum specimens and work with a closely related species, in this case a prairie chicken or chicken. In short, using state-of-the-art technology to manipulate primordial germ cells, a prairie chicken could come to lay heath hen eggs. 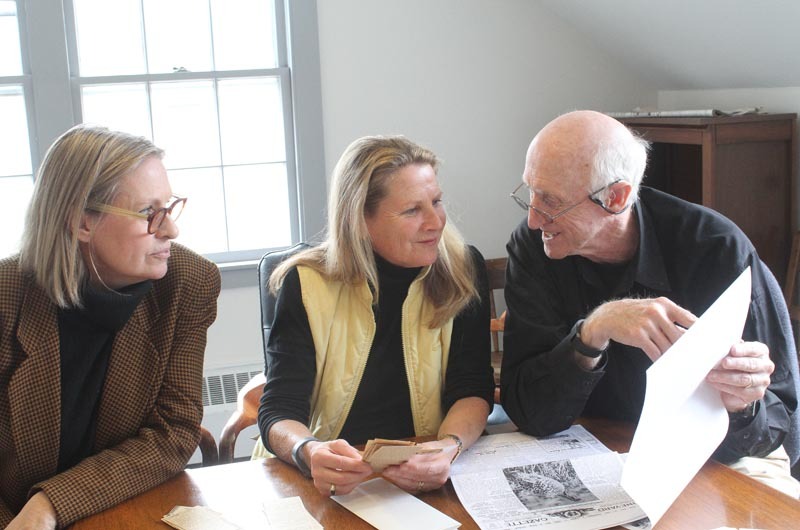 In a late March visit to the Island, Revive & Restore executive director Ryan Phelan and co-founder Stewart Brand met with conservation leaders to explain the project and gauge public interest. They were joined by Susan Johnson Banta, who has been visiting the Vineyard for about 40 years and is serving as a community development consultant on this project. Ms. Phelan has a background in genetics and was co-founder of the All Species Foundation. Mr. Brand, an author and ecologist, created and edited the Whole Earth catalog. They are married and live in Northern California. Ms. Phelan and Mr. Brand stress that they are on the Island to pose a big idea. If there is local interest, they say, Revive & Restore could provide the science, while people on the Island spearhead the effort to revive the heath hen. Ms. Phelan and Mr. Brand will participate in a forum next Thursday titled The Heath Hen Could Come Back from 6:30 to 8:30 p.m. at the Agricultural Hall. A panel presentation will be followed by discussion and a question-and-answer period moderated by Gazette writer Tom Dunlop. Other panelists include Josh Donlan, a specialist in island conservation, and Vineyard ecologists Tom Chase and Matt Pelikan who work for The Nature Conservancy. She said that while she and Mr. Brand did not know what to expect, initial conversations about the heath hen went surprisingly well. Ms. Phelan said if there is enough interest, a feasibility study could get underway in the next year. With funding in place, the genomic sequencing could happen quickly. “If there are serious things that need to happen in terms of helping with predators and habitat restoration and any of those things, that can be a much different process,” she added. He said ethical issues run along two fronts: the size of the population brought back, and how long the animal has been extinct. A small, controlled population poses different concerns than an independent wild population, and recently extinct species provide better DNA and may still have habitat, as opposed to those that went extinct long ago. There are concerns about siphoning resources from conserving existing species. De-extinction poses the same animal welfare concerns as cloning and other similar processes, he said. Even if the process is possible, there could be failed attempts that lead to animals born with diseases and malformations. Other issues include regulations and permitting. He said Revive & Restore is taking the right approach in looking for community interest. “I don’t think there’s anything inherently wrong with trying to do this,” he said. 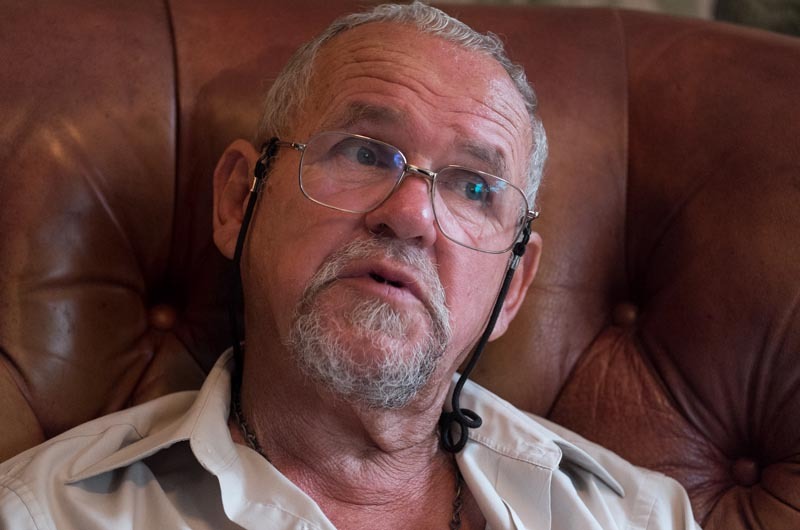 Habitat could be a key hurdle, Mr. French said. Prairie chickens are known for being sensitive to habitat changes; plus the Vineyard has been built up since the last heath hen died and the Island might not have enough habitat for the bird, he said. Reintroducing heath hens to the state would require permitting, but Mr. French downplayed the obstacles. “That’s the least of the hurdles,” he said. “Part of the philosophy is if they once occurred here, it’s legitimate to try to restore them,” he said. Some Island conservation leaders took a more neutral stance. He said Sheriff’s Meadow is not taking an active role in the proposal. Tom Chase, director of conservation strategies for The Nature Conservancy on the Vineyard, embraces the idea of bringing the heath hen back, though maybe not to the Island. 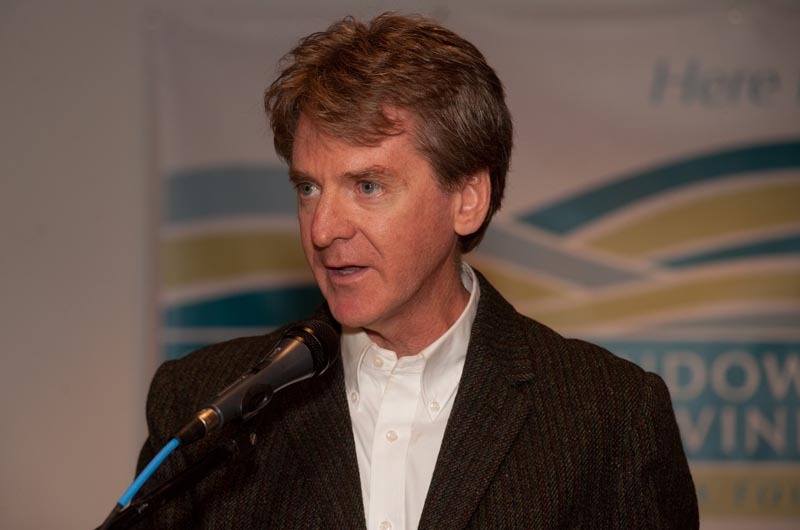 More than a decade ago, Mr. Chase was involved in a project that looked at introducing prairie chickens to the Vineyard as part of sandplain grassland habitat restoration. The idea was controversial, he said. It ultimately foundered because of inconclusive DNA about whether the heath hen was closely related to the prairie chicken and debate about what the sandplain habitat should be. “My first thought was, here we go again,” Mr. Chase said, speaking of the de-extinction proposal. The previous experience made him stop and think about the ecological and biological barriers. And like Mr. French, he said a particular concern is ground predators like skunks. “But really, an equally big thing is can the conservation movement, can all the conservation partners rally around something like this? That’s a really tall order,” Mr. Chase said. Mr. Chase, Ms. Phelan and others said they were not concerned about diverting resources from existing work, noting that de-extinction brings new donors who would otherwise not get involved in conservation. Luanne Johnson, a conservation biologist and director of Biodiversity Works who has spent much of her career working with endangered species, likes the idea. “I think you have nothing to lose in trying,” she said. Ms. Johnson said the niche for a chicken-sized wild bird is vacant on the Vineyard, and she thinks some concerns could be overcome. Disease is already introduced with quail and pheasant that are released each year, she said, and while the skunk population has grown considerably, she notes that heath hens coexisted with predators for years, and the project could bring about efforts to control the predatory population. Mr. Ben David echoed others in saying that the bird’s habitat has been significantly altered since it became extinct. Any high school kid taking AP bio knows that it takes thousands of animals to sustain a population that won't succumb to inbreeding and vanish like the heath hen did in the first place. How many thousands of acres of habitat for threatened plants and animals that haven't gone extinct will have to be "modified" to accommodate these genetically modified prairie chickens? What an embarrassing time for Vineyard conservationists who don't even have the resources to manage their properties. It doesn't say much for their intellectual integrity when their efforts get sidetracked by every bright shiny object that gets attention from the wealthy naïve. Just want to applaud this sensible and well-written comment that actually addresses one of the real scientific problems with this project. The genetic engineering side of the science is completely realistic, but the population ecology side is utterly ridiculous, at least on the Vineyard. Maybe it could be done somewhere else, but both the heath hen and prairie chicken (since we don't know which one this new animal's behavior would most resemble) require a lot of space for each breeding pair. To risk over-simplification, de-extinction is really only possible with a bigger habitat or a smaller animal. Maybe they'd like to try their hand at one of the millions of tiny invertebrates that have gone extinct? Oh, wait, they're just bugs with little charisma, so they won't attract the $$$. Me and mine do our best to "whack" every skunk and rabbit we see. As kids it was .50 a rabbit and $5 a skunk bounty from my great uncle. Are you doing your part? We sure have a lot of turkeys wandering around. Do they count? Ten years ago, the proposal to resurrect heath hens was the perfect storm of bad ideas. You’d be hard pressed to find a case study that came anywhere close to illustrating as many fundamental scientific errors and misinterpretations and in so many fields of biology (ecology, taxonomy, evolution, conservation, etc.). Now, a decade after being held up to widespread ridicule as a perfect example of what not to do, every one of those mistakes is poised for repetition as if nothing happened, complete with destructive agendas for the state forest that have nothing to do with science (except as technological novelty) or with conservation (except as emotional appeal to sentimentality). Beyond the bi-coastal fundraising initiative, the completely underwhelming novelties in biotechnology, and the ridiculous flavor-of-the-week buzzword “de-extinction”, there is fundamentally nothing new about either this effort or this debate as the opening of Sara Brown’s article suggests. No bar has been raised. This is a reboot of a bad plan whose advocates waited long and travelled far to find donors who hadn’t been paying attention long enough to know any better. To suggest that the effort won’t detract from more urgent conservation needs while transparently timing it to coincide with the peak of the fundraising season is disingenuous. It’s a bully-slap in the face to any non-profit who hasn’t bought in and drunk the Kool Aid. Good snacks for feral cats. Agree with JH, this is a dumb idea resurrected by people who don't care a whit about endangered species, they just want to do a "cool experiment" using other (dumber) people's money. Anyone who actually IS interested in cool, endangered species should be focused on the Atlantic right whale, visible all around the Vineyard (if you're lucky) - since Obama just opened the Eastern Seaboard to "sonic cannon" oil exploration yesterday. (Even George W. Bush never went that far!). This will rip open the eardrums of whales & dolphins, who need hearing for everything - hearing, social contact, navigation - so for them, hearing loss is a death sentence. I guess he's changed his mind on climate change, too - drill for oil right offshore in hurricane country, why not. Link to article: http://www.huffingtonpost.com/2014/07/18/east-coast-oil-exploration-_n_5599674.html Then, call the White House: 202-456-1111. A better effort than heath hen nonsense. There will be many challenges in bringing back the heath hen. It's a big idea and like all big ideas there is an element of the unknown - and thus scary to some. Think back on the early discussions about sending a man to the moon. Remember the push back? We spent a lot of time over the past year talking to many of the Island leaders about this opportunity. The conversations resulted in a long list of benefits to the Vineyard by just attempting this project - including all ground nesting birds would get a big win. I encourage you to bring your questions, concerns and an open mind to the Ag Hall meeting on Thursday. This project is not a west coast, rich folks idea being thrust on the Vineyard. It will only happen if someone on the Vineyard or in the region steps up to lead this. The science is new - it's not the same world it was 10+ years ago. We are operating under a clearly defined credo "Bring no harm to the Vineyard." I hope someone sees this as a great opportunity to once again make the Vineyard the world leaders in conservation efforts. It's your meeting on Thursday - bring your voice. I feel bad saying this, but you seem out of your depth. Big ideas represent solutions to problems. They are arrived at by asking questions first, and they are advanced based on the answers to those questions. You’ve simply accepted the premise that releasing unpredictable engineered organisms onto an island is benign, and only after the fact drummed up a list of assertions why it’s worthwhile and cool. You keep trumpeting the advances in cloning, but skipping the fundamental step of asking about the consequences of releasing the bio-engineered animals once you’ve succeeded. The elephant in the living room is how much land it will take to support even a small population of heath hens and what you will need to do to that land. Worthwhile as it may be to do the experiment of getting an extinct genome up and running again, the minute you start talking about retro-fitting the Vineyard’s already fragmented landscape to accommodate it, you’ve got far greater hurdles, biologically and ethically. If you are sincerely concerned about island wildlife, then why, prior to holding a public meeting, haven’t you consulted scientists with expertise on this island’s biodiversity and not just on the cloning side of things? It seems instead that you and your partners have spent the last year marshalling support for this idea in the press (on- and off-island) and ferreting out experts with impressive sounding but quite irrelevant credentials who will tell you and the rest of us what you want to hear. The moon landing, which you compare this to, benefitted hugely from public support, but it would have been silly to leave the decisions on rocket design and re-entry protocol up to a public vote. Public opinion comes into play once it’s informed, once you’ve made an honest effort to gather informed opinions and analyses and communicate them, not just on the laboratory aspects but on the ecological impacts of reintroduction as well. You guys are talking about releasing genetically engineered animals into a place with a pretty high number of endangered plants and animals that aren’t around in too many other places anymore, but have you asked anyone at the state heritage program about it? It’s really odd that in all your polling of island leaders no one brought this up, but that they came up with a long list of benefits and agreed that this will somehow help ground-nesting birds. Granted there’s no shortage of people who generously call themselves ecologists on this island, but have you thought about asking any professional botanists or zoologists? Your credibility would improve if you seemed more interested in honest answers than in capitalizing on local naivete and exploiting the island’s xenophobia as an information filter. If you’re going to promote this agenda, be proactive in dealing with these issues head on instead of shifting the responsibility on everyone to attend your meeting. I’d be skeptical that much understanding will come out of a forum for people who won’t have any more basis for making up their minds than what they’ll be fed from a panel stacked with people already invested in the project. Thank you for your thoughtful comments. We acknowledge that not all islanders are supporters of the re-introduction of the Heath Hen –with valid concerns. Stewart Brand and Ryan Phelan, founders of the Revive & Restore project, have had numerous conversations about the concept with many experts, including in the fields of Island Conservation, Biological Ecology, Habitat Restoration and Management, and Genetic Research. The panel of speakers at the Ag Hall on July 27 represented a number of these disciplines, but, as you point out, there remain more to consult with. If there is enough support for a feasibility study many of these conversations will take place with the specific experts you refer to. In fact, we expect that you and the Island community will continue to be part of that comprehensive inquiry. It was a chicken and the egg situation – pardon the pun – to speak with the community before engaging all the specialists. In the course of the panel presentation of the challenges associated with this ambitious project, there emerged from the audience of 175 community members a recurring set of questions regarding how the habitat and the hen would fit together on the Vineyard or on one of it’s neighboring islands. We interpreted the input not as dismissive of the idea, but rather as an indication that the idea is worthy of further investigation into the complex of issues. I hope I have not misrepresented my role in this project. I am not a scientific expert in this field. I simply introduced Stewart and Ryan to the Island and orchestrated the engagement of the community in a conversation. We have made an effort to engage the public – with the intention to educate islanders and ourselves, not to push a singular agenda. I would never assume that anyone could dazzle one of the most highly educated, passionate and critical thinking communities in the world into accepting anything based simply on an enthusiasm for an intellectually intriguing concept. Nor do I expect anything less from this forward thinking community than to demand a thorough presentation of the facts to allow for their own informed assessment of the risks and rewards of the what might become the world's first successful de-extinction project. In order to arrive at a conclusion for action or non-action we will need voices like yours to participate in the process. Sure another endangers species to take over the island. If this keeps up we wont be able to use our beaches at all, cant walk our dogs through the State Forest, stop traffic for all these animals as they heard across the streets and GOD only knows what they will want to bring back next - maybe several species of small, two-legged vegie-eating dinosaurs. Don't we have enough problems with loosing access to important spaces on the Vineyard?